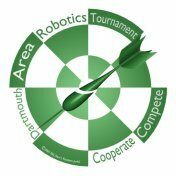 The Dartmouth Area Robotics Tournament will take place in the Thayer School of Engineering on the Dartmouth College campus on November 3, 2007 from 9 AM to 4 PM. Each teams competes in three rounds. Teams will partner with a different team for each round. The two partner teams will go to one judging venue together and compete against each other in the performance competition. Performance Competitions will run in cycles of nine minutes each. Judging rounds involve 15 minutes as a subject (performing) team and 15 minutes as an observing team.